NEW ORLEANS (CNS) — I get it when people tell us to just get over it. That’s normally a therapeutic suggestion. Holding onto anger — like tightly clenching shards of glass in a balled fist — can become much more than a flesh wound to the soul. Just open your hand and let the shards fall to the floor! 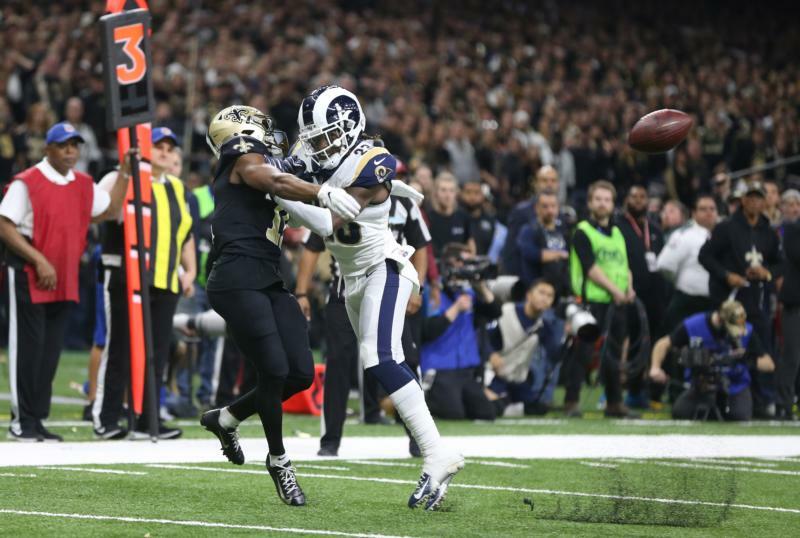 There is something about what happened — or did not happen — in the NFC Championship Game Jan. 20 that has left citizens of the Who Dat Nation in shock, anger and denial, prompting spiritual leaders to pick up the pieces. Father Joe Palermo, who spent many years as a spiritual adviser to young men studying for the priesthood at Notre Dame Seminary, became pastor of St. Francis Xavier Parish in Metairie last July. Because he was free on weekends to celebrate Masses across the Archdiocese of New Orleans, he frequently received calls from pastors looking for a “supply priest” for the evening Mass on the first Sunday of February. “Fifty is the most I’ve ever seen at a Super Bowl Mass,” Father Palermo said. So when Father Palermo became a new pastor, he started thinking about his lonely, echo-inducing Super Bowl Sunday liturgy experience. Father Palermo posted the cancellation notice in his Jan. 27 bulletin, which went to press a couple of days before the Jan. 20 NFC Championship Game between the Saints and the Rams. Then, all larceny broke out in the Superdome. “That was a game-changer,” said Father Palermo, who was at the game and saw the officials’ sin of omission face-to-face on the HD Jumbotron, not as a shadowy crime through a confessional screen. The next day, at morning Mass, Father Palermo encountered black-and-gold parishioners who were red-eyed and blue, hurting just as much as he was. As Father Palermo reflected on what he would write for his “Pastor’s Corner” column for the Feb. 3 bulletin, he decided first that the parish would, in fact, offer a Super Bowl Sunday Mass at 5:30 p.m., and he invited everyone attending all five weekend Masses to wear black and gold and stay after Mass for Saints-themed hospitality. “I had my heart set on Atlanta/I’ve got the Super Bowl Blues/The ref’s blown call made me a ranter/I’ve got the Super Bowl Blues/Now I’m drinking straight Mylanta/To shake the Super Bowl Blues! The response? “Applause,” Father Palermo said. In addition to the post-Mass pastries and coffee Feb. 3, Father Palermo also offered the blessing of the throats, courtesy of the feast of St. Blaise. Many throats were still raw from overuse injuries two weeks earlier. In his Feb. 3 bulletin, Father Palermo recognized the unique bond between the Saints and the city, especially the team’s role in lifting spirits after Hurricane Katrina in 2005 and then winning Super Bowl XLIV in 2010. Until then, I’m opening my clenched fist just enough to pick up a baby blue bottle — and swigging straight Mylanta. A priest told me it would be good for the hole in my soul. Finney is executive editor and general manager of Clarion Herald, newspaper of the Archdiocese of New Orleans.